My first funeral is as clear in my mind as scenes from a familiar movie. Pfc. Christopher Kilpatrick died on June 20, 2005. I think everyone in town knew him. The residents of Columbus, Tex., filled every chair at the Knights of Columbus hall, and well-wishers lined the walls. His two sisters made a memorial video set to music. It was a moving tribute to the baby brother they fussed over; the toddler in cowboy boots; the youngster growing up hunting and fishing; the Eagle Scout; the basketball player letting a three-point shot fly; the kid with a big smile and the obligatory pickup truck. Whatever one thinks of the benighted lunatic civilians whose horrific project this Iraq misadventure is, one needs to make certain that the true patriots, the women and men in uniform who are the teeth of the tiger, are properly appreciated and honored. Not the least of which honor is the current practice of assigning a general officer to each funeral. Would that such attention to detail have evolved toward supporting our living soldiers (i.e., strategic and tactical conduct of the war, medical treatment of wounded personnel, veterans’ benefits). But, let Gen. Troy have his day. Please take time out today between shopping the big Memorial Day sales at the mall and the festive barbecues, to remember the veterans of military service of all of our wars who were or are in your lives, dead and living, fallen in battle or simply fallen to the ravages of time. Recovering, as best they can given the slothful government for which they sacrificed, from the wounds and stress of combat, or simply recovering from the stress of duty as that tiger’s tooth. We comfortable civilians owe them our respect and gratitude. This entry was posted on Monday, May 26th, 2008 at 10:26 am and is filed under "War on Terrorism", Air Force, Army, History, Iraq occupation, Marines, Navy, War. You can follow any responses to this entry through the RSS 2.0 feed. You can leave a response, or trackback from your own site. to make sure people no what this day is about. 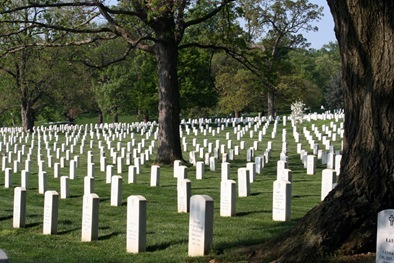 Enjoyed your blog, and very much appreciate your remembrance of Memorial Day. Thanks so much for stopping by and taking the trouble to comment! My father served in World War II mainly in the Philippines (1944-46), and kept in touch with many of the friends he made among the Philippine people for the rest of his life, culminating in a visit there as a tourist many years later. Thanks so much for taking the trouble to comment here.